Anders Hallberg and Carl Bennet’s HealthInvest Partners AB revealed its top picks for the fourth quarter of 2014. 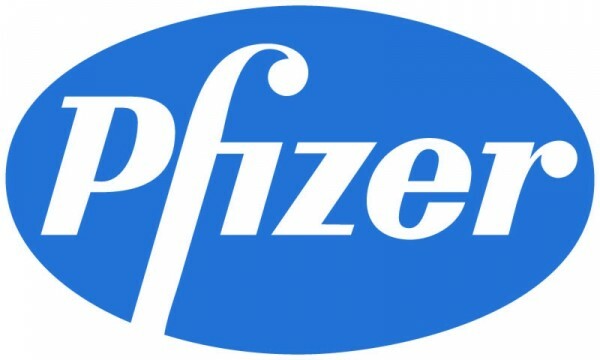 According to the 13F Form filed with the U.S. Securities and Exchange Commission, the investment firm’s largest holdings are Pfizer Inc. (NYSE:PFE), Alliance HealthCare Services, Inc. (NASDAQ:AIQ), and Skilled Healthcare Group, Inc. (NYSE:SKH). HealthInvest Partners is an independent Swedish fund management company, founded in 2006 by Andres Hallberg and Carl Bennet. The firm manages four specialty funds that focus on the pharmaceutical, medical technology, biotechnology, and healthcare sectors in North America and Asia. The Stockholm-based investment manager’s equity portfolio is valued at around $120 million and includes only 16 different holdings. HealthInvest Partners’ investment strategy consists of placing a strong emphasis on low valuations, while seeking out potential catalysts that could boost shareholder value, through in-depth due diligence. Furthermore, the firm does not place much faith on earnings when evaluating a stock, but focuses on free cash flow instead. The largest position held by HealthInvest Partners by the end of 2014 was Pfizer Inc. (NYSE:PFE), representing almost 12% of its equity portfolio. The investment firm entered this new position during the fourth quarter, acquiring 465,000 shares of the company’s stock. In addition to the Swedish fund manager, numerous institutional investors are bullish regarding the $206 billion pharmaceutical behemoth. At the end of the third quarter, Ken Fisher’s Fisher Asset Management disclosed a position of 31.7 million shares, amounting to almost 2% of its equity portfolio. Cliff Asness’ AQR Capital Management even held Pfizer amongst its top 5 picks, with a stake of 10.4 million shares. Furthermore, Pfizer Inc. (NYSE:PFE) claimed a spot on ETF Channel’s Top 25 ”Dividend Giant” list, thanks to a solid 3.54% yield in 2014. HealthInvest Partners’ top pick for the fourth quarter also boasts a 70% growth rate over the past five years, making it a great long-term investment. Last year, the company was at the center of an intense debate in the pharmaceutical industry, due to the potential merger with AstraZeneca plc (ADR) (NYSE:AZN). Although speculation concerning a new deal ran high after Pfizer’s failed $118 billion bid in May, AstraZeneca has yet to receive a new offer. HealthInvest Partners holds a stake of 527,100 shares in Alliance HealthCare Services, Inc. (NASDAQ:AIQ), making it the second-largest position in its equity portfolio. The stock was initially acquired by the investment firm during the fourth quarter of 2013 and since then, it has lost around 20.7% of its value. Nevertheless, HealthInvest Partners remains bullish regarding the small-cap healthcare services company, which continues to generate strong cash flow. As stated above, the fund manager places greater value on the cash flow of a business, rather than on the stock’s earnings.